“ LGR'S BIGGEST FAN & DJ. 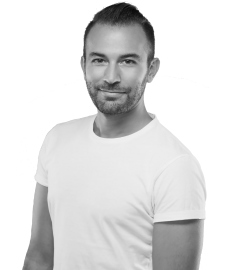 Our smiley radio DJ, Tony was born in London to Cypriot Greek parents. A creative soul was always listening to London Greek Radio as a child and now a long-time presenter and producer. Tony is a massive LGR fan, wears his iconic station t-shirt, we guess he’s giving it ‘103.3 per cent’, as he likes to say on-air; passionate, with a strong work ethic. Always smiling, with an upbeat personality our DJ handles different styles of music from Modern Greek hits to Pop, Laika, nisiotika and entehno Tony can satisfy even the most demanding listeners. Tony’s “encyclopaedic knowledge of the LGR library”, that’s our music archives is a pretty good asset to have, for sure. Tony is impressively current with the exciting, relevant upcoming releases and best new songs, in his shows, adding them to the station’s music play-lists. His signature ‘great tunes in the mix’, which are giving it that extra spark, to Tony’s radio slots. He is presenting and producing cohesively slick sets and the content has fun spontaneity, which is entertaining and captivating to our listeners. Mr Neophytou is solidly adaptable and versatile, to various time-zones, or formats, either day-time, Drive Time to late evening or night, during the weekend. Tony had been voted ‘favourite LGR presenter’ by his fellow contemporaries, during a fun exercise initiative at work, and it’s an achievement he’s proud of. He is working extensively in studio management, production, editing, technical assistance, with other formats, and broadcasts. Tony performs a role in the training process of potential radio people; creating and designing art-work; adverts and station-jingles and relishes joyfully in the creative excitement of it. Tony has always firmly supported our locally based home-grown talent, and other personalities, within the wider Greek/Cypriot community. 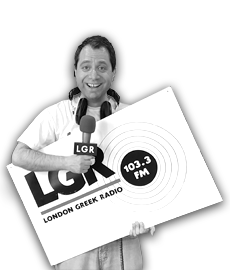 His charming, interactive style which appeals to the long-time listener and young digitally savvy, he will answer your enquiries to live@lgr.co.uk. Tony lists the Bahamas to Uruguay, to the States, as a few of the marvellous places that have messaged, or sent feedback to his shows. The knowledge of performance and media which have vastly contributed to developing the ‘skills set’ in broadcast radio. As he described, he can still recollect when he first approached the LGR building in Haringey, enquiring about work placements at the weekend. They said ‘Yes!’ and so, fortunate enough, he became part of our team. He is one of our editors of social media, for Twitter and Facebook and event promotion.